The artworks that adorn the wines are by Angela Tirrell, whom she met during her eight years winemaking in Napa Valley, California, now a trusted confidante and friend. 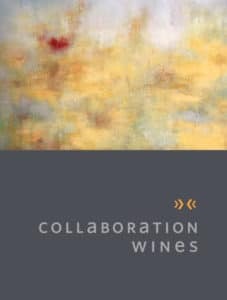 Angela’s abstract artwork was the inspiration and foundation to the design of Collaboration Wines. The art of the labels is a reflection of the complexity and depth of the wines.